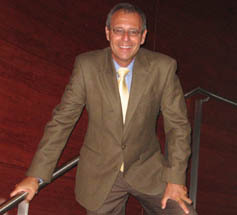 Dr. Weintraub retired as the Director of Fine Arts, Technology and the Adult Community School for the Lakewood Public Schools in New Jersey in 2009. His background is in the area of choral music, with an emphasis in choral conducting. His undergraduate work was done at Indiana University (Bloomington, IN) and Ball State (Muncie, IN). His masters was completed at the College of New Jersey and my doctoral studies done at Nova Southeastern University on the subject of improving the enrollment of choral organizations. Dr. Weintraub has been an adjunct doctoral study and dissertation Chair and instructor at Walden since 2008. He also acts as a URR and helps train new faculty members. His experience includes working with the NJ Department of Education in the creation of the Core Course Proficiencies for the Fine Arts. He has presented at the Walden University National Faculty Meetings, Nova Southeastern University's Summer Research Conferences, the New Jersey Music Educators Association, the Arts is Basic to the Curriculum, and the NJ Association of Supervision and Curriculum Development on topics of writing a dissertation, computer technology, and topics related to the fine and performing arts. Dr. Weintraub lives in Brick, New Jersey, a seashore community and has a vacation home in Delray Beach, Florida. His hobbies include opera, musical theatre, gardening, and world travel. Weintraub, D. (2016). Various Technology Presentations at Walden Department Meetings. Walden University. Weintraub, D. (2018). Alignment in the Dissertation. Nova . Weintraub, D. (2018). Organizing and Writing the Literature Review. Weintraub, D. (2014). Best Practices: Proven Approaches to Student Success in the Doctoral Capstone. Walden University.